The three are thick friends — Minu Alias, an entrepreneur, Sabu Thomas, a chartered accountant, and Jaleesh Peter, an educationist. Whenever they meet there would be lengthy discussions on how they can be part of fruitful activities to benefit society. And during one such discussions came up the idea of a school for children on autism spectrum, with a very clear syllabus and world-class facilities. 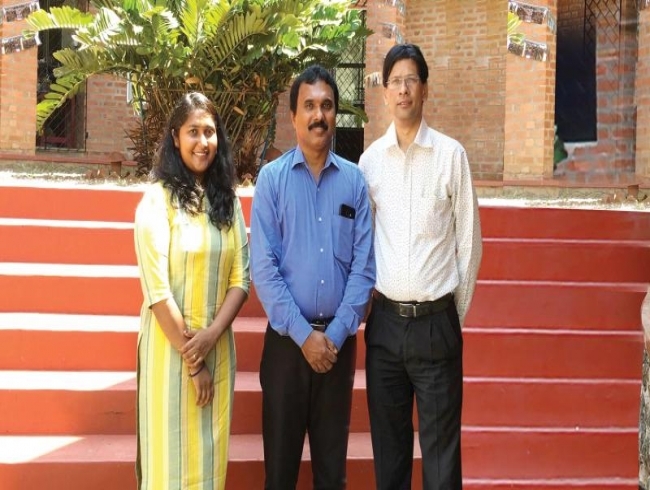 The result: a few months ago, the Leaders and Ladders International School of Autism (LISA) was launched at Kothanaloor, Kottayam. “This school is our big dream,” says Minu, who says that the idea struck them after learning that there are no proper and adequate educational facilities for children on autism spectrum in Kerala. “Though there are over a hundred special schools in Kerala, we have no institution of international standards. Our aim is to make these children independent and shift them to regular schools to learn with other kids. Through individualised academic and behavioural plan for each kid and with family-centred holistic care, we boost their skill sets and make them independent and confident individuals,” she adds. The 1,500 sq-ft building situated on a 2.5-acre campus is not just an educational institution for kids on autism spectrum. Former PSC chairman K.S. Radhakrishnan is the mentor of LISA. “We engage in awareness activities for the public. LISA is better known as a social business institution,” says Minu. The school offers speech, special education, occupational, behavioural therapies and physiotherapy apart from individual activities, self-help programmes, art-craft activities, yoga, music and dance sessions. Every Friday, a parent-teacher meeting is held to discuss the progress and to invite suggestions to improve the standards of both the children and the institution. “Another important factor is the limited number of admission. We have just five kids in each classroom. The teacher-student ratio is, therefore, 1:5. We do not want a crowded school; every child should get individual attention and training and we are sure, they will all be able to follow an independent and inspiring lifestyle,” Minu says. The motto of the institution is ‘Until All of the Pieces Fit’ — the phrase sums up what the three friends actually want — a space where no one stands out as ‘unfit’. “Let’s march forward, together, supporting each other,” Minu concludes.